Shopping Nightmare: Remastered is a unique survival horror game make for the RemakeJam 2 GameJam. During your shopping spree, you had to run to the bathroom to take a massive dump. But little did you know, that by the time you were done, it would be midnight and that means, closing time. 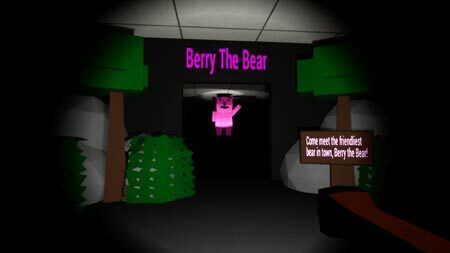 Now the powers gone off and the whole store has turned alive, even the new hot selling stuffed animal, Berry The Bear. Will you be able to escape this haunted General Store? The game features atmospheric environment, beautiful graphics and cool sound effects. If you get stuck in the game, check out the video walkthrough and gameplay for the game. This entry was posted in PC Games, Walkthrough and tagged Shopping Nightmare: Remastered Cheats, Shopping Nightmare: Remastered Gameplay, Shopping Nightmare: Remastered Guide, Shopping Nightmare: Remastered Hints, Shopping Nightmare: Remastered Horror Game, Shopping Nightmare: Remastered Review, Shopping Nightmare: Remastered Solutions, Shopping Nightmare: Remastered Strategy, Shopping Nightmare: Remastered Tips, Shopping Nightmare: Remastered Walkthrough by Marvin. Bookmark the permalink.